What Hopscotch Coupons and Promo Codes are currently available? Searching for the latest Hopscotch coupons and offers, but aren't sure which ones still work? You've come to the right place. At DealSunny we maintain an up to date list of offers that are guaranteed to make you savings. You never have to waste time searching elsewhere again, as we keep all the deals on one page. All you have to do is browse our list and when you see a deal you like, click the link to reveal a new window with all the terms and details on how to claim it on Hopscotch website. When you use DealSunny, you never have to pay full price! Not looking to buy baby or children's clothing today, but want to get discounts at other stores, service providers or food delivery? Be sure to check out our full database of merchants and make great savings on whatever you choose to spend your money on! Hopscotch is a leading retailer of baby and children's clothing, accessories and supplies, based out of Mumbai, India. The privately held company sells its selection of branded items exclusively online at Hopscotch.in, where you can find regular stock and limited daily deal stock as well. These are called Boutiques and work on first come, first served basis. What makes the store so popular is its wide ranging offers and deals, which you can redeem with special Hopscotch coupons. We maintain and up to date list of these right here at DealSunny, so be sure to check before placing an order, to make the most savings possible! Hopscotch was launched in 2011 by Rahul Anand, a graduate of Harvard Business School and the University of Michigan. He saw a gap in the market for high quality branded baby and kids merchandise, including labels from overseas that were highly sought after in India. The site quickly grew thanks to its popular range of items and investment from the likes of Eduardo Saverin ( the Co-Founder of Facebook) and Toivo Annus ( the Co-Founder of Skype). Today the company has upwards of 300 permanent employees, and reportedly takes thousands of orders a month. According to their about page: "Hopscotch is fabulous! It's an online store offering insider access to today’s top baby and kids brands from around the world, at unbeatable prices." To fully access the services, users must become members, though it's free to sign up. Hopscotch provides carefully selected and curated baby and kids products from popular brands in the West and India. This covers 0 to 24 months, toddlers and children up to 8 years old, as well as items for mothers as well. Depending on what's available at the time you might be able to use a Hopscotch promo code for items in all categories, or specific items only, such as the hopscotch kids coupon code. Clicking an offer you want to use here at DealSunny will open up a window with the code you need to use and the full details for the deal. Although their selection is always changing Hopscotch covers Clothing from 0 to 8 years old, Mother & Maternity wear, Shoes, Toys, Books, Stationery, Accessories, Personal Care, Baby Supplies, Feeding, Home & Kitchen products, Children's Party Supplies, and Gifts. Current trending items include Fun Feet Girls Pretty Hops Shoes, Sugarcart Glitzy Hair Clips, Official Disney Frozen Bags & Lunch Boxes, Couture Strap Sandals, Brown Bows Boy's Bib, Little Dudes Boy's Clothing, Master Chef Kitchen Vegetable Preparer, Dex Baby Crib, and many others. Popular brands available include: Magic Fairy, The Children's Place, Carter's, Toffy House, OshKosh, Peach Giirl, Tuskey, Hello Kitty, Disney, Kidoz, Pluchi, Jaipur Se, Inno Baby, Ez Life, The Nature's Co, Shanaya Creations, Hullabaloo, Sugarcart, Bon Bon, Couture, Melissa & Doug, Ben Benny, Mustang, Jeffries, Kittens, Tantra, Jumping Beans, FOX, Frangipani, NeedyBee, D'Chicha, Zoggs, Li'll Pumkins, and hundreds of others. All time Bestsellers include Bon Bon Curtness Funky Clips, ATUN Roll In The Fun Times Dress, Dapper Dudes Like Father Like Son, IVEE Infant Shoes, Peach Girl Dresses, Party Peal Angel's Dress, and many others. Remember if you see something you like, act fast because many products are only available for a limited time only, and on a first come first served basis. Hopscotch cater to both individuals and bulk buyers. If you wish to purchase a particularly large quantity of goods, you are advised to contact them via email at [email protected] They will respond with a quote within 72 hours and you will usually get a nice discount. If you are shopping for somebody else and aren't sure what they would like, why not purchase a Hopscotch gift card? That way the recipient can make their own purchasing choices. Standard Sales: These are sales that run for a limited time and allow you to make savings of up to 60% off. You do not have to do anything special to redeem these items, simply add them to you basket as normal. Referral Rewards: As a thank you for referring friends to the store you can get store credit! If you refer 10 friends who register you will get Rs. 250. Invite 15 more and you'll get another Rs. 250. Your special invite link is found in your online account. Hopscotch Coupons: These are special codes that you can find at DealSunny and elsewhere, that you enter during online checkout for generous discounts and other deals. You can only use one per order, but what's great is you can combine them with sale items for even deeper savings! App Exclusives: As a thank you for downloading the app, users are sometimes rewarded with exclusive offers that cannot be used on the site. So if you have an Android or iOS device, there's no reason not to get the app and benefit from savings. New User: Brand new customers who have never used Hopscotch before will be treated to a special new user offer just for registering an account. For example one such offer is Rs. 400 off your first order. Hopscotch regularly has promo codes for both old users and new users. If you want to stay up to date with the latest Hopscotch offers, be sure to check back here at DealSunny. You can also sign up to their official email newsletter on the store site, or follow them on social media. They are currently active on Facebook, Twitter, Instagram, and Pinterest. Hopscotch accept a wide variety of payment methods for your convenience, including all common Indian and internationally issued credit, debit and cash cards. These include Visa, Visa Debit, Mastercard, Maestro, Diners Club, American Express, among others. You can also use Net Banking with most major Indian banks. If you do not have a card or banking, you can also pay using Cash On Delivery, which simply means you pay the delivery driver when your order arrives. To check if this is available in your area you can enter you pin code on the product page. Once you've handed over the cash the courier will mark payment as complete, which will be reflected in your online order history. If you wish to redeem a Hopscotch promo code, all you have to do is carefully enter it in to the designated box during online checkout. This is before the payment step. If the coupon is valid you will see a confirmation message and your order will update according to the terms of the promotion. For example if it was a discount, your total order cost will drop accordingly. Note, only one Hopscotch promo code and be redeemed per order. Most orders from Hopscotch are delivered within 5 to 10 days, but can take longer when addressed to more remote locations in India. Shipping is completely free for orders over the value of Rs. 1,500, without having to use any Hopscotch coupons to redeem it. Orders below this threshold are charged a flat rate of Rs. 100 for shipping. At this time international shipping is not available. You can track your order easily from within your online account, and alerts on dispatch and delivery will be sent via email and SMS. If you don't answer or are not available when the order is delivered you will also be sent an SMS or email. The order will be re-delivered for two days, at which point the order will be cancelled and a automatic refund issued, minus any repackaging fees. Hopscotch utilize a number of reputable couriers and will use the most convenient one based on your order size and address. Orders are often shipped in multiple parts, so they can get you each part faster. So if part of your order arrives without the rest, it should still be on its way. If your order is tampered, opened, or visibly damaged on delivery, you are advised to reject the order and notify our Customer Care team of the situation by emailing [email protected] You will then be sent a replacement. For the most part Hopscotch functions like a typical eCommerce store with a standard basket and checkout system, and easy to browse categories to help you find what you want. The main difference is that there is a constant turnover in stock. Every day they issue a new boutique of carefully selected branded items from around the world that are only available for a limited time only, on a first come first served basis. If you are a registered member you will be emailed when the latest sale starts. So if you see something you like, it is a good idea to purchase it right away. Some products however are more permanent and can be bought time and time again. Registration only takes a few minutes and will allow you to take full advantage of the service. If you prefer to shop on the go or don't have access to a computer you can also download the Hopscotch mobile app for Android and iOS devices, from the Google Play and Apple App stores respectively. On Google Play the app is rated a high 4.2 stars out of 5 from over 5,000 reviewers. In total it has been installed between 100,000 and 500,000 times. It has all the same features as the main website so you shouldn't have any trouble placing an order. Product pages includes multiple photos and a detailed description of the product selected. You can choose the color, size, and quantity and then add it to your digital basket for check out. There are size charts and an FAQ section to further help you with your online shopping. As well as the products you can buy, Hopscotch also run a popular Blog full of parenting tips, educational and fun ideas, product info, and other interesting topics. They have also launched a video section with short videos with similar topics to the blog. You are free to cancel any order before it is marked a dispatched. This can be done within your online account, and you will receive a refund to the payment method you used as soon as possible. While there is no set return timeframe, you are advised to initiate any returns as soon as possible. Most items are eligible, other than food items and personal use items such as swimwear, innerwear, and jewellery, due to hygiene reasons. You can still get a refund however if they arrived in a damaged or defective condition. In this scenario you should contact customer support right away. To organize a return you must contact customer support first. They will then send a courier to pick the items up within 3 to 5 days, so don't worry about organizing your own postage. Unwanted items must be unworn and in their original state to be accepted, while damaged goods will be checked by the team before a refund is granted. Obviously if you have used any Hopscotch coupon codes to get a discount, you will only be refunded the actual amount charged after the discount was applied, not the current selling price. Hopscotch welcome your questions and complaints. You can email them any time at [email protected] You can also call them from 9 AM to 6 PM; Monday to Saturday, on +91 9022 191 995. If you have requested a return and no courier has arrived within a week you may have to send the order back yourself to the above address. If your items were defective upon arrival or the wrong items were sent, you can be reimbursed this shipping fee. Depending on the type of refund (card, bank account etc) it can take up to 10 business days to see it on your statement. If after this time you do not see the refund, you should contact Hopscotch customer support. Why Isn't Cash On Delivery Available? Cash On Delivery is only available at certain pincodes. You can enter your code on the product page to see if it is available in your area. If not you will need to make payment online. Most items purchased as pre-order will arrive within 2 to 10 weeks, depending on how in advance the order is made. Keep this in mind! Hopscotch use all the latest encryption technology to ensure that your personal information is safe, and will never sell or pass it on to third parties without your permission. They use the secure online payment gateways to protect your card and bank details. So you can be sure that your purchase at Hopscotch is absolutely safe. How Do I Redeem Hopscotch Offers? 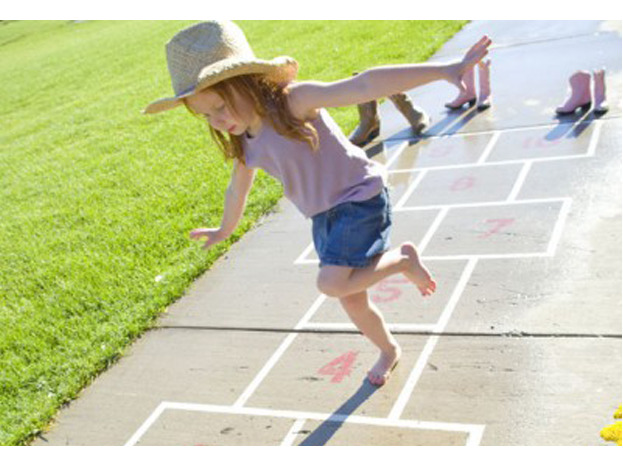 Hopscotch coupons and offers are available in many different forms. Some of these are automatic (such as standard sales) and you do not have to do anything special to redeem them. Coupons however must be entered in to the designated box during online checkout before they are applied to your order. Don't forget to do this! @AnkitEquitas Appreciate your time over the call Ankit.